One elopement is one too many for busy tech innovators. The Center for Excellence in Assisted Living’s Randy Slikkers talks about the organization’s strategic vision for the future. Penner, Bulk TV & Internet, and Mainstreet. Laundry, housekeeping keys to happy, healthy surroundings. 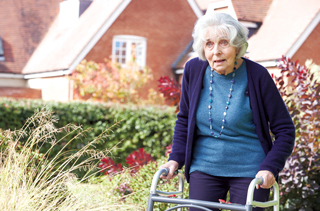 Rehab care is becoming increasingly prevalent in senior living settings. Rocky Mountain Senior Housing’s Golden Lodge and Belmont Senior Living’s Belmont Lincoln Park. The design team tried multiple design scenarios during the planning stage. After a quarter-century in business, First Colonial’s renovation opened interior spaces, while enhancing residents’ dining and wellness options. “Keep Connected” was the theme for this year’s National Assisted Living Week. Presidential candidates and data vulnerability. Senior living wages and unlawful terminations.